A Plus code can be found by opening the Google Map app on the device and dragging the location pin to the place whose location is needed. Google has released a new feature on Google Maps in a few countries. The system is called a 'plus code' which is a combination of two elements that represents the address of a particular place. The first element includes 6 or 7 letters and numbers and the second element includes a town or a city example "X4HP+M5, Cairo, Egypt," is the plus code Cairo, Egypt. To begin with, plus codes can be generated on both Android and iOS devices. According to the official website, a plus code can be used to find or share a location when it is not easily detectable on the Map. The Google support blog describes the steps to find the Plus code on Android and iOS devices. 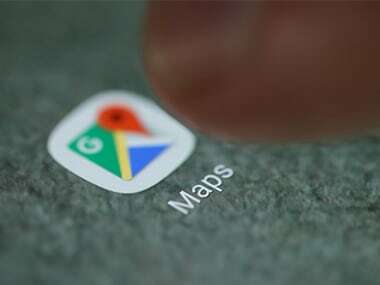 Opening the Google Maps app on your device and dragging the location pin by touching and holding on the map to the place whose location is needed. Next, tap the address at the bottom or description of the address and scroll down to get the plus code. Tapping the plus code on devices copies it on the clipboard and can directly be pasted to in a chat box or notes to share it to others. What is cool about plus code addresses is that you can create one for a location without a town or a city, the area code of the place is added to the beginning of the plus code. A Google plus code is free without any licensing fees or other costs and is also accessible offline. 'Close by', places have similar plus codes that make it easy to identify nearby places or to know weather you are close to the particular destination. These plus codes are non-exclusive and can be printed as a grid on paper, posters and signs, which will also help find address for the people without computer or mobile phones. 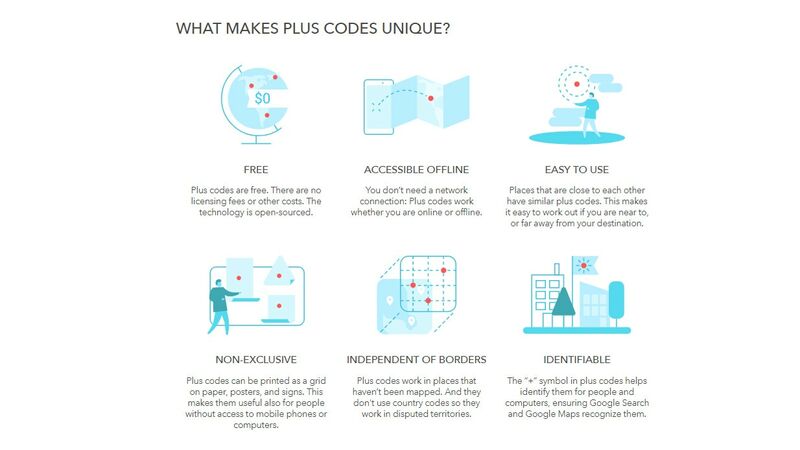 The official website mentions that the plus code system is independent of borders and also shows codes of the disputed areas that have not been mapped on Google, which is a big deal for people living in these areas. The '+' symbol in the address also makes it more identifiable for people and computers to locate it on Google Maps and Google Search. The new feature can be beneficial for government and municipalities, emergency services, humanitarian and disaster relief organisations, transportation, logistics and utility providers, financial institutions and lastly also small business. According to the report on GeoSpatial World the project is managed by Google’s Zurich engineering office and is an extension of an existing Project called as Open Location Code (OLC), an open-source project started by Google engineers.